Pears are still in season Fresh From Oregon. 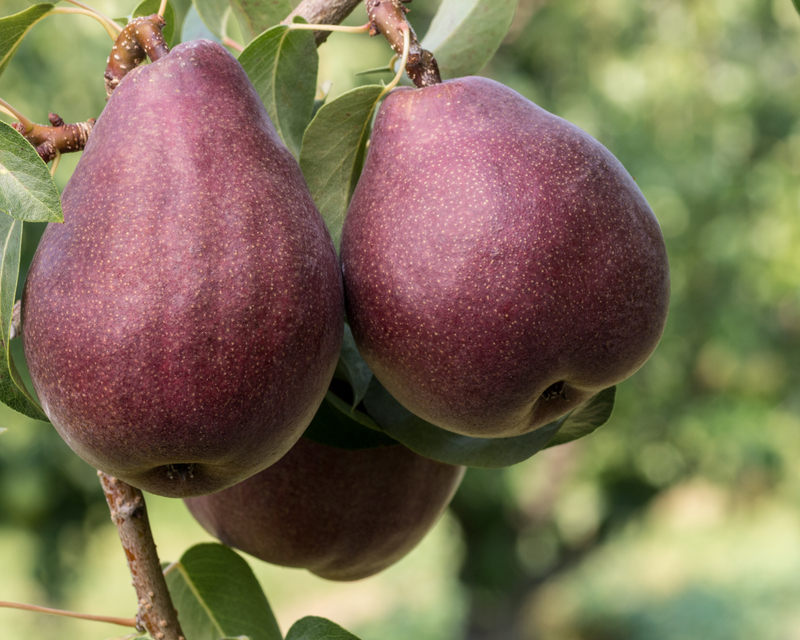 We take a few trips every fall over the mountain to Hood River, Oregon where you can buy pears fresh from the orchards. There are many great places to shop but my favorite place is Kiyokawa Family Orchard & Fruit Stand. If you do not live close to Hood River or are out of state just ask where you shop for Hood River Pears. In this crisp recipe I used the Red Bartlett pear which holds its shape and flavor great during baking. There are always two parts to a crisp, the juicy fruit bottom and the crunchy top. 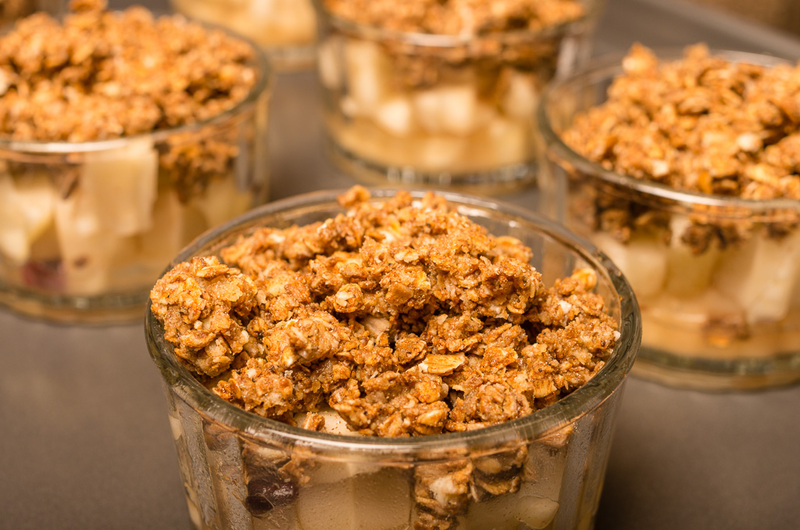 I received a bag of Nature’s Path Organic Gingerbread Granola at the IFBC I attended this year and thought what a great flavor combination for my crisp gingerbread and pears. The best thing about using this bag of granola from Nature’s Path is it all ready to use just add butter and you have a topping for any dessert. 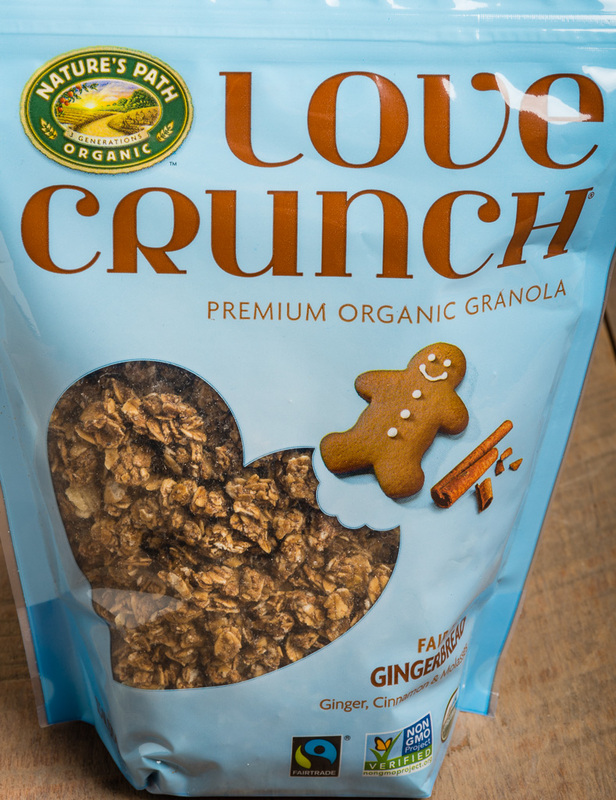 They have so many flavors of the Love Crunch granola like Apple Crunch, Dark Chocolate & Berries, and Aloha Blend, check out all their other great and unique flavors. 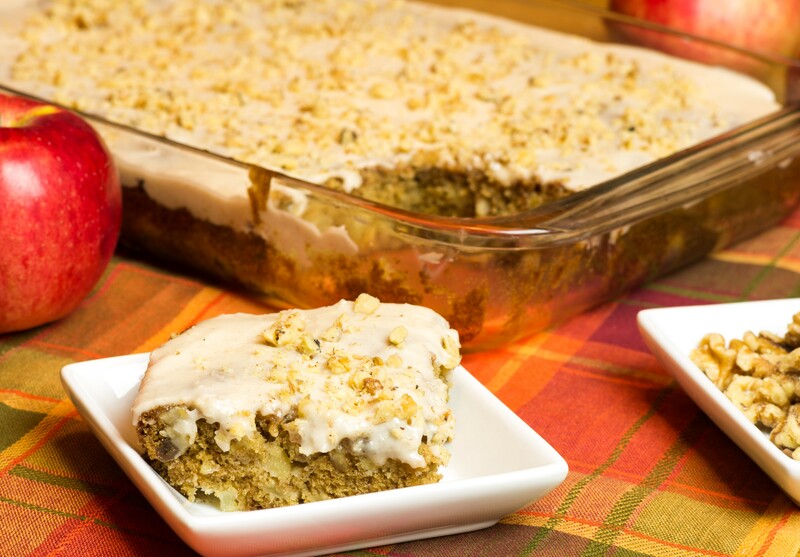 The list of dessert creations you can make with Nature’s Path Love Crunch Granola is endless! Preheat oven to 375 F. Spray 8 small ramekins lightly with baking spray, set aside. 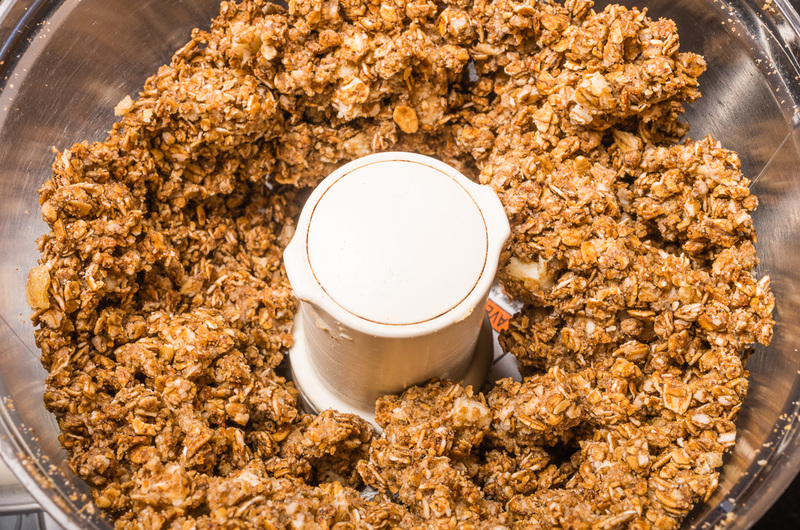 Place the Nature’s Path Organic Gingerbread Granola in a food processor and pulse a few times. Add butter and pulse until topping resembles coarse meal, set aside. 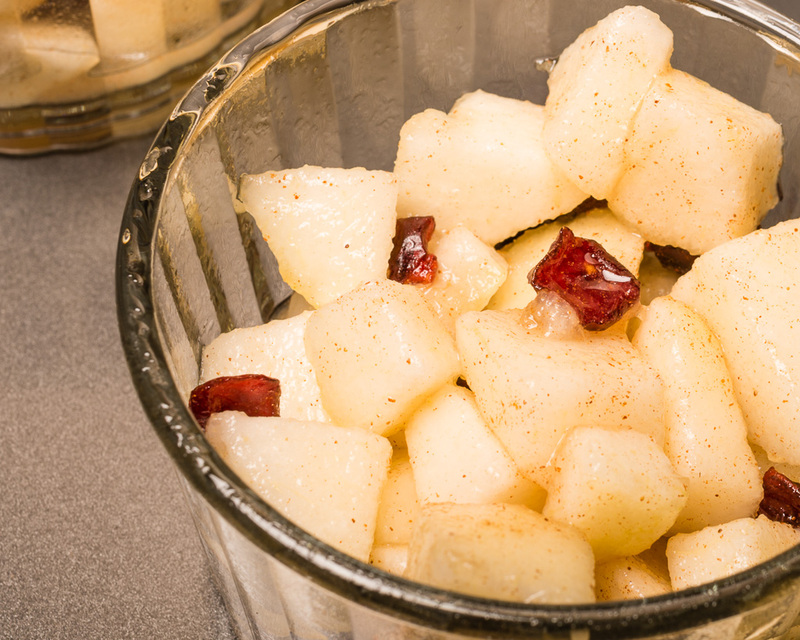 Combine Oregon Hood River pears and dried cranberries in a large bowl. Add lemon juice, sugar, cinnamon and crystallized ginger. Divide mixture evenly between the 8 individual ramekins. 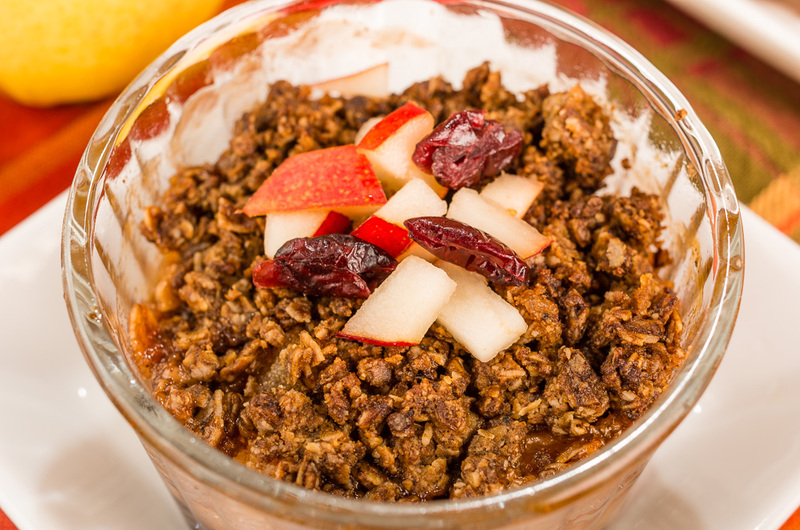 Cover evenly with the Nature’s Path Organic Gingerbread Granola topping. 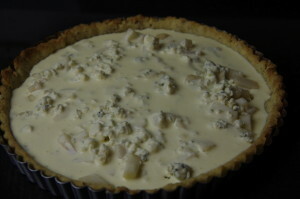 Place on baking sheet and bake in oven until topping is golden brown and fruit is bubbling, about 30-40 minutes. 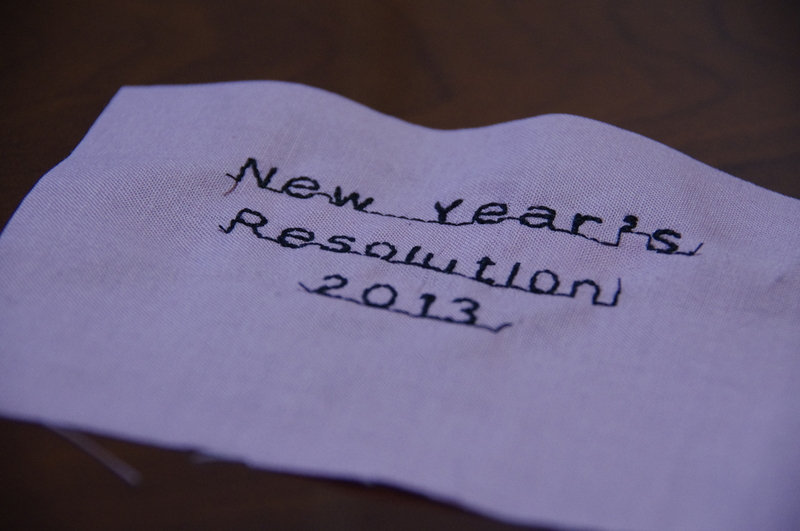 Here is another recipe I adapted from the Cook to Books January challenge from Around My French Table by Dorie Greenspan. 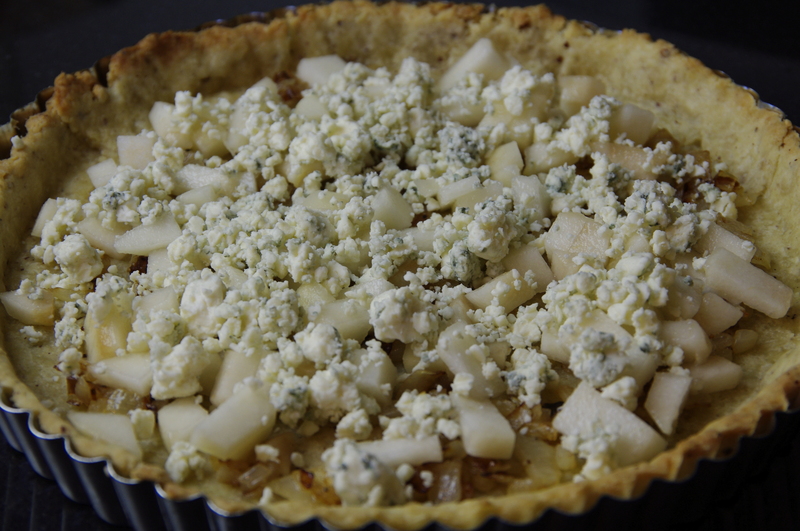 The original recipe was a Gorgonzola-Apple Quiche and to make it a Fresh From Oregon taste I made it with pears and an Oregon blue cheese and added hazelnuts to the crust. I was at the Portland Farmers Winter Market this past Saturday and picked up a few really nice ripe pears. If you want the best blue cheese in Oregon then you need the Rogue Creamery Blue Cheese. 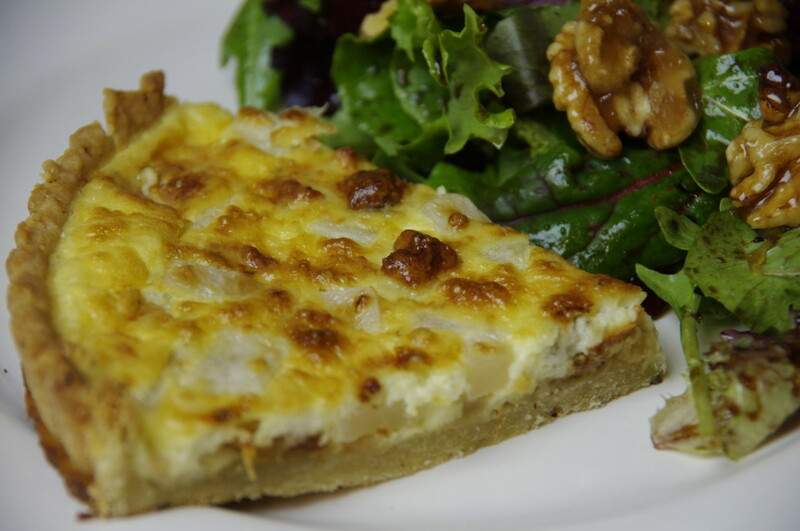 It has a high price per pound but worth it and you only need 2 ounce in this quiche and you will taste the difference. I decided to make this for lunch yesterday and serve to my husband and son and was ready for the reaction “Quiche” is not a man’s meal. But to my surprise they both enjoyed it and ate every bite. I served it with a mixed greens tossed salad and dried cranberries and my homemade Balsamic Vinaigrette and topped it with some candied walnuts. Enjoy my version below and let me know how you like it. I made my dough in the food processor really quick and easy. 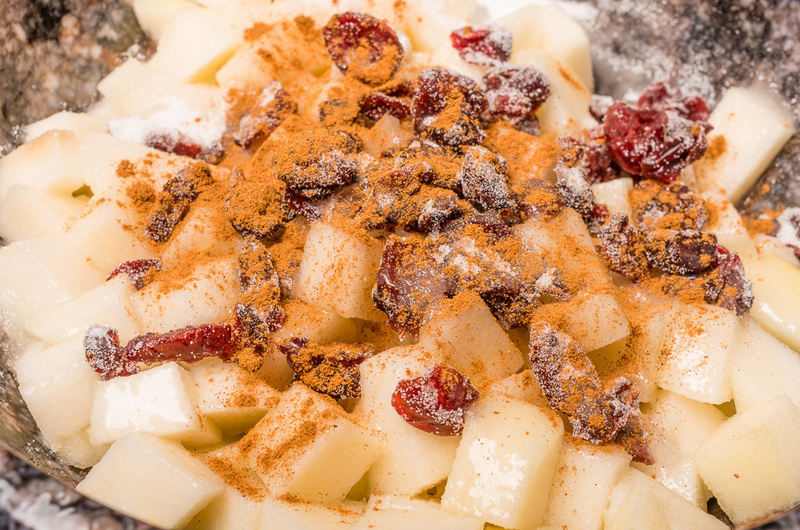 Place flour, hazelnuts, sugar and salt in bowl of food processor with the blade attachment. Pulse a few times to mix, add the butter in small pieces and pulse again to make smaller pieces. Add egg and water and pulse until the dough holds together when pinched. I found I needed to add another teaspoon of cold water since I added in the hazelnuts. 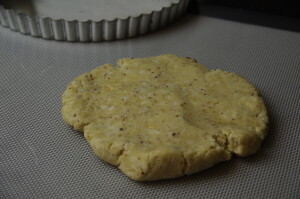 Dump the dough onto the counter and gather together into a ball and flatten to a disk shape. Wrap in plastic wrap and refrigerate for at least 3 hours, I refrigerated my dough over night. To bake the dough I lightly floured my counter and sprinkled some flour on the top of the dough and rolled it out to slightly bigger than my tart pan. Place the dough in a 9-inch tart pan and gently press into the bottom and up the sides taking off any extra dough along the side. 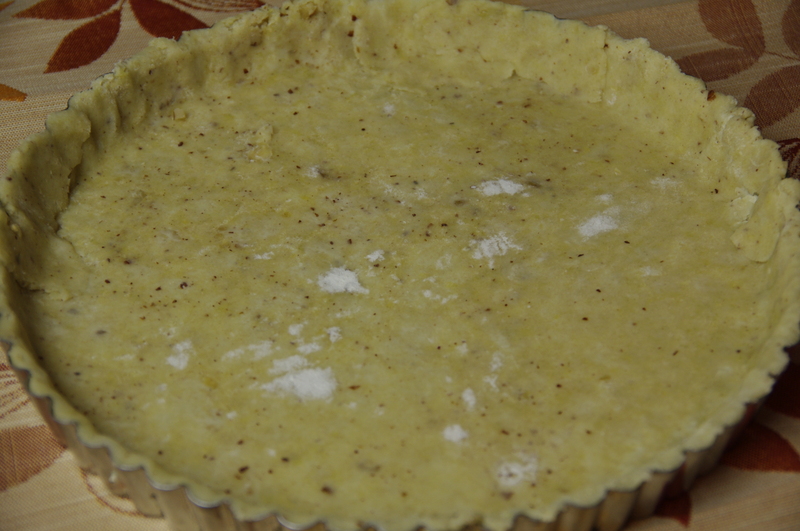 With a fork prick the bottom crust in several places. 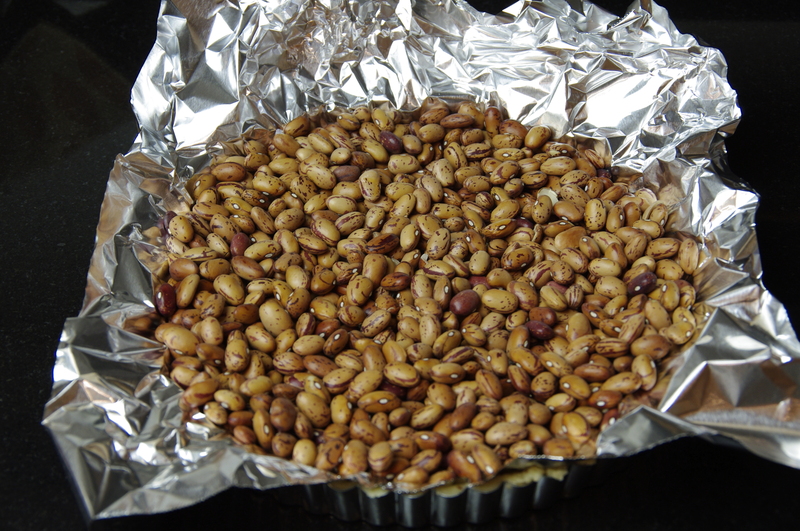 I lined the crust with foil and added beans to keep the bottom and side in place while it baked. 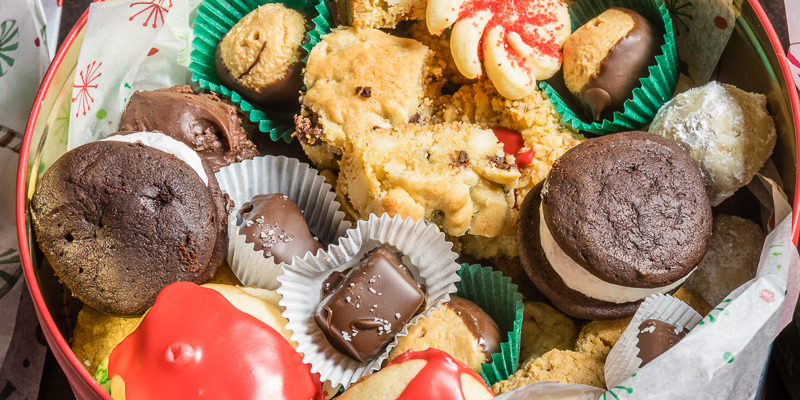 Bake in a preheated 400 degree oven for 20 minutes, remove foil and bake another 3 minutes. Place on wire rack to cool. Preheat oven to 400 degrees. Melt the butter in a skillet over medium heat and add the onion and salt & pepper to taste. 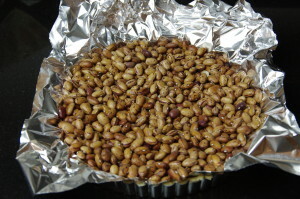 Cook until slightly brown, about 5 minutes. Spread the onions in the bottom of the hazelnut tart shell. Evenly spread the pears and then the blue cheese over the onions. In small bowl beat the heavy cream and eggs, season with salt and pepper, pour over the pears and blue cheese. 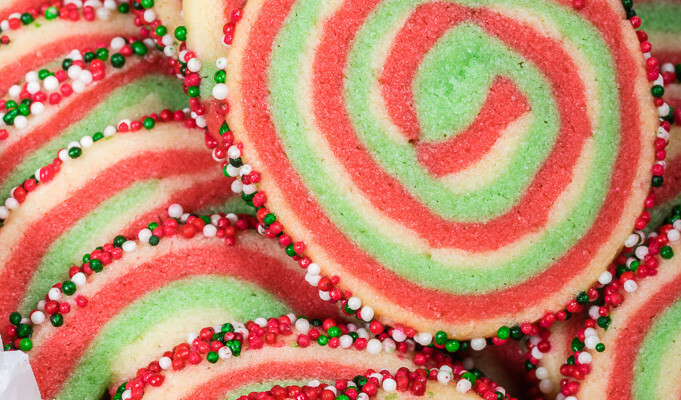 Bake for 30 minutes or until brown or a knife inserted in the center comes out clean. Set on rack for at least 5 minutes to set the eggs completely. 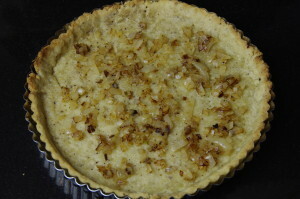 The Fresh From Oregon Quiche is ready to serve, enjoy.